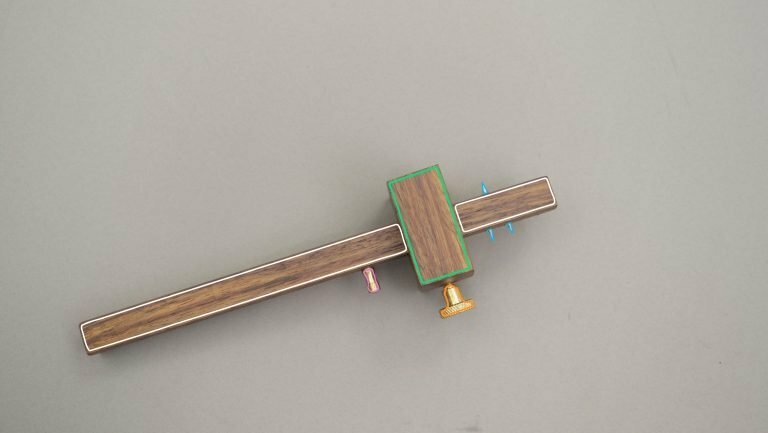 The combination gauge has 4 main parts, the wooden stem, the wooden stock, the setscrew and the marking pins. The stock has a lock system on it to allow it to keep the distance from the pin, this enables you to mark exactly the right location. 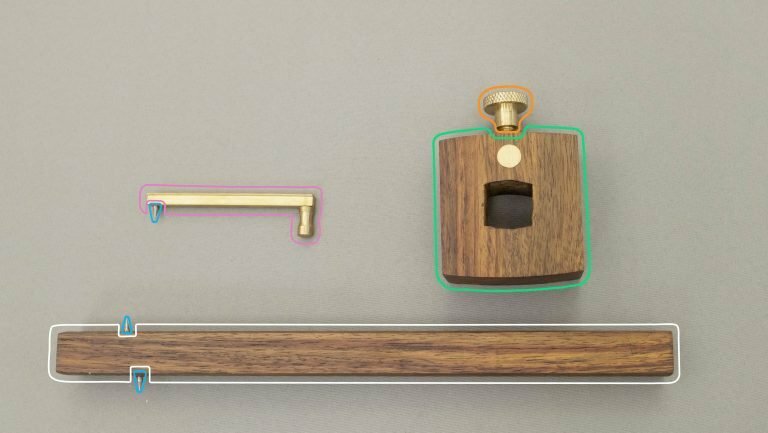 The reason this is called a ‘combination gauge’ is because it combines the functionality of two very similar tools, the marking gauge and mortise gauge. The marking gauge has one pin and the mortise gauge has two. In a combination gauge the the single pin is one side of the stem and the double-pin mechanism is on the other side. The combination gauge is used to mark parallel lines lightly on the surface of wood. 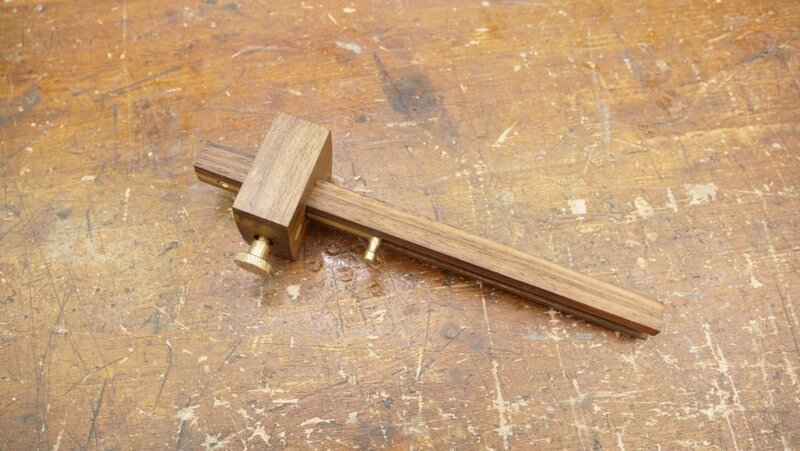 The twin pin side can be used to mark out the width and position for a mortise and tenon joint. 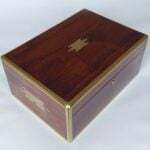 The single pin side is used to mark the depth for recesses or the width or thickness of a board when sawing or planing it to size. There are a wide variety of other marking functions that this tool is useful for. The combination gauge is very important in creating accurate joints. While you would rarely see the lines made by a gauge in a finished piece of furniture, they make accurate joinery much easier. I recently bought a combination gauge but am finding it difficult to keep the lines straight when I drag it . Paul suggests practising applying the right pressures in the right direction. He says there is a tendency to want to press the gauge down into the wood when really we’re simply trailing the pins to mark the surface. Only apply light pressure on the first pass to define the score line, and tilt the gauge head so the pin is striking the surface at an acute angle; so as to minimise the inclination for the pin to follow the grain direction. Assessing the grain beforehand can also give you an indication weather pushing or pulling the gauge will provide better results.